For businesses that have offices with skylights / roof windows having electric roof window blinds can be particularly important in regard to controlling natural light overhead. Blackout ceiling blinds offers a lightproof seal for total darkness anytime. They are ideal in rooms, where you need complete light control to ensure the right working conditions. With blinds for roof windows, skylight blinds & ceiling blinds there are the other obvious positives of insulation and noise reduction. Our roof window blinds UK have the option to be automated with motorisation to make your office window blinds fully efficient and easy to use. 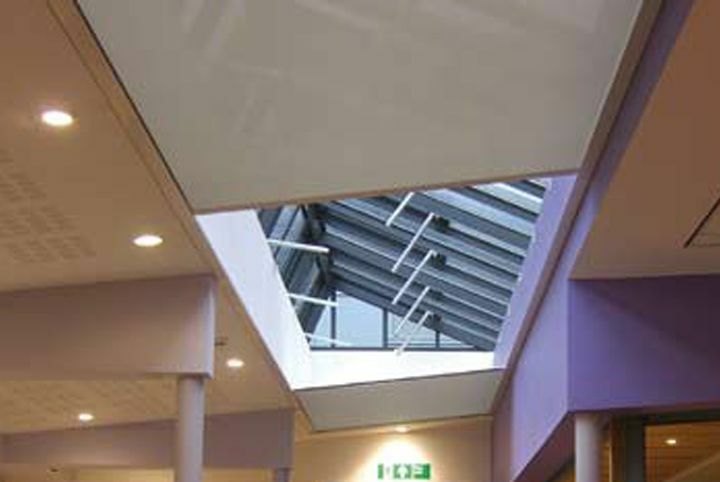 Having electric roof blinds can be particularly important in regard to controlling natural light overhead in an office. 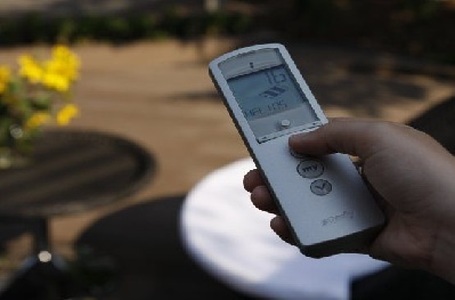 They offer great light control, insulation and noise reduction. Call us today to find your ceiling/roof blinds! Take a look at some types of roof blinds we provide. Electric roof blinds / Motorised roof blinds are particularly useful for roof blinds and blinds that are difficult to reach and/or operate. Our electric roof blinds can operate on a slope or be horizontal. 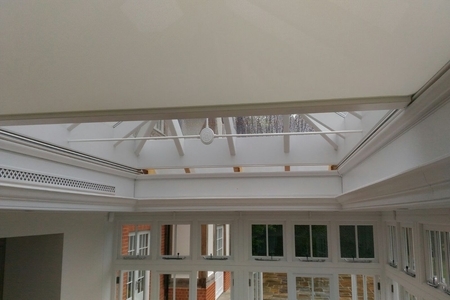 Our roller roof blinds systems are superb at achieving maximum solar protection from above. Our commercial advisers will discuss your requirements, assess the size & type of windows and will provide a solution that meets your needs. 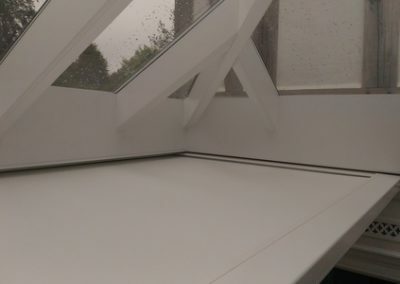 We can create your roof blinds that are bespoke to your windows or skylights. This means you can have made to measure roof blinds for your office, school, shop, hotel, restaurant or any other windows you have. 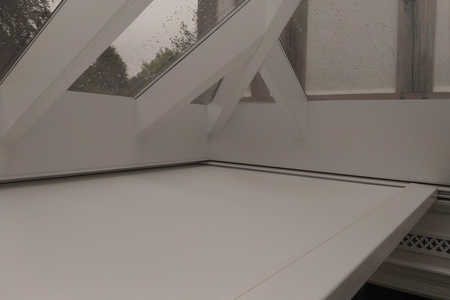 All our roof blinds are made to measure to fit perfectly for your roof windows/skylights. We can provide blinds of any style or size depending on your requirements. Our skylight blinds perfectly protect a room against excessive sun. They are perfect to stop the glare of sun for those in your building. 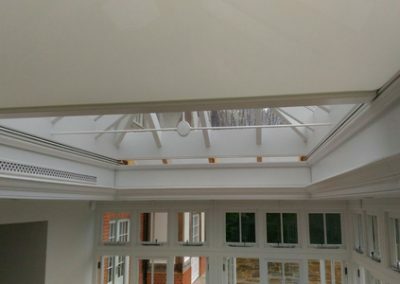 We can provide you with motorised roof blinds. This is perfect for those hard to reach areas for manually controlled blinds. When it comes to roof blinds installation on your ceiling blinds, our experts will guide you through every step. We have completed many roof blinds installations for businesses across the UK with a great portfolio of successful projects. Each blinds project uses top quality, roof window blinds made to measure. Get in touch online our experts will source the perfect solution for your project.